"Get Lost In TV" with getTV, as the network kicks off the all-new block with a tribute to the 1957 crime comedy series The Thin Man, every Wednesday in March at 8 pm ET/5 pm PT. The weekly block, which premieres on March 2, puts the spotlight on a different rare television classic each month, airing five episodes back-to-back to create the ultimate vintage binge watching experience. Future blocks will highlight Gene Roddenberry's 1963 military drama The Lieutenant, starring Robert Vaughn, and the incomparable James Stewart in the 1971 family comedy The Jimmy Stewart Show, among others. Based on the fan-favorite 1934 Pre-Code mystery of the same name, The Thin Man series stars Peter Lawford and Phyllis Kirk as married sleuths Nick and Nora Charles, getting wrapped up in shady schemes and solving crimes with their wire-hair terrier Asta. The series was the first program produced by MGM, and was celebrated by critics for its portrayal of Nora as a true leading lady instead of just part of the scenery. Notable guest stars include iconic crooner Frank Sinatra, funnymen Bob Hope and Don Rickles, and Golden Age starlet Nina Foch, as well as Gavin MacLeod, Marion Ross, Robert Quarry, and more. 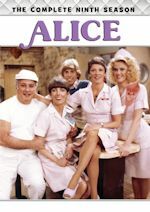 The month-long event highlights 25 classic episodes from the series' first season, airing in chronological order, following the sleuthing spouses as they uncover a gang of blackmailers, investigate an actor’s murder, attend a spooky séance, help crooner Vic Damone evade a stalker, and represent murder suspect Robby the Robot. The lineup also includes a number of guest appearances from entertainment legends such as Barbara Nichols, George Murphy, Robert Taylor, Sid Melton, Simon Oakland, and Whit Bissell, among others. Although the series only lasted two seasons, it was well received by both critics and fans, and was nominated for a primetime Emmy in 1959. 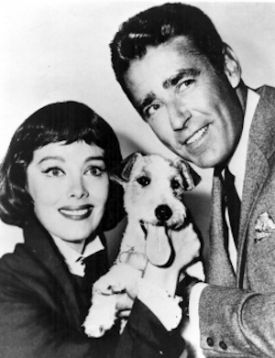 The Thin Man was acquired from Warner Bros. Distribution. 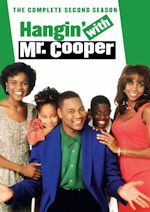 For the week of Feb. 29-March 4, 2016, we have many current sitcom stars and past sitcom stars on TV talk shows! All times listed are Eastern. So get your DVRs (or whatever you use) ready! Ready? Here is all what you need to know for the coming week! Andy Samberg (Brooklyn Nine-Nine)- Watch Andy on Jimmy Kimmel Live! at 11:35pm on ABC. Kristen Schaal (The Last Man on Earth/Bob's Burgers) - Kristen stops by on Late Night with Seth Meyers at 12:36am on NBC. Paul Rust (Love/Super Fun Night) - Paul is a guest on The Late Late Show with James Corden at 12:37am on CBS. Jenny Slate (Married/Parks and Recreation) - Jenny appears on The Late Late Show with James Corden at 12:37am on CBS. Drea de Matteo (Joey) - Drea is a guest on Last Call with Carson Daly at 1:35am on NBC. Morris Chestnut (Out All Night) - Morris visits Comedy Central's The Daily Show with Trevor Noah at 11pm. Megan Fox (New Girl/Hope & Faith) - Megan stops by Conan at 11pm on TBS. Jay Duplass (Togetherness/The League/The Mindy Project) - Jay appears on Conan at 11pm on TBS. Candace Cameron Bure (Fuller House/Full House) - Candace drops by The Meredith Vieira Show, so check your local listings. Trinitee Stokes (K.C. Undercover) - K.C. is a guest on Home & Family on Hallmark Channel at 10am ET/PT. J.K. Simmons (Growing Up Fisher/Family Tools) - J.K. appears on The Talk on CBS at 2pm ET/1pm CT-PT. Will Forte (The Last Man on Earth) - Catch Will on Jimmy Kimmel Live! at 11:35pm on ABC. Michael McKean (Laverne & Shirley) - Michael is a guest on The Tonight Show Starring Jimmy Fallon at 11:34pm on NBC. Morris Chestnut (Out All Night) - Morris visits Late Night with Seth Meyers at 12:36am on NBC. He also chats about Rosewood on NBC's Today in the 9am hour, on The Wendy Williams Show at 12am on BET or on your local stations, and on HuffPost Live at 12pm. Saffron Burrows (Mozart in the Jungle) - Saffron appears on The Late Late Show with James Corden at 12:37am on CBS. Hayes MacArthur (Angie Tribeca/Go On/Perfect Couples) and Andrée Vermeulen (Angie Tribeca) - Hayes and Andrée are guests on @midnight on Comedy Central at midnight. David Koechner (F Is for Family/Hank/The Office) - David appears on @midnight on Comedy Central at midnight. Rachael Harris (Surviving Jack/My Boys/Notes from the Underbelly) - Rachael stops by Watch What Happens: Live at 11pm on Bravo. Melissa Peterman (Baby Daddy/Reba) - Melissa guest hosts Home & Family on Hallmark Channel at 10am ET/PT. Josh Hopkins (Cougar Town) - Josh joins Clinton Kelly to create a dish of cultural distinction on ABC's The Chew at 1pm ET/12pm PT/CT. Bob Saget (How I Met Your Mother/Surviving Suburbia/Full House) - Bob can be heard on The Morning Mash Up on SiriusXM Hits 1 at 11:10am. Tina Fey (30 Rock) - Tina talks about Whiskey Tango Foxtrot on NBC's Today sometime between 7-9am. Kym Whitley (Young & Hungry/Animal Practice/Sparks) - Kym hosts a "Recycle My Ex" party on Steve Harvey, so check your local listings. Laura Prepon (That '70s Show/Are You There, Chelsea?) - Laura talks about her new book The Stash Plan on New York Live on WNBC in New York at 12:30pm ET. Ariel Winter (Modern Family) - Ariel is a guest on ABC's Good Morning America sometime between 7-9am. Kristen Schaal (The Last Man on Earth/Bob's Burgers) - Kristen appears on Good Day New York on WNYW-Fox5 in New York sometime between 7-10am. Martha Plimpton (The Real O'Neals/Raising Hope) - Watch Martha on Jimmy Kimmel Live! at 11:35pm on ABC. Tina Fey (30 Rock) - Tina appears on The Tonight Show Starring Jimmy Fallon at 11:34pm on NBC. John Stamos (Grandfathered/Jake in Progress/Full House), Bob Saget (How I Met Your Mother/Surviving Suburbia/Full House) and Dave Coulier (Full House) - John, Bob and Dave are guests on The Late Show with Stephen Colbert at 11:35pm on CBS. Dave will also be on NBC's Today in the 10am hour. Ilana Glazer and Abbi Jacobson (Broad City) - Ilana and Abbi are guests on Late Night with Seth Meyers at 12:36am on NBC. They also chat with the ladies of The View on ABC at 11am ET/10am CT-PT. Keke Palmer (Scream Queens/True Jackson, VP) - Keke visits The Nightly Show with Larry Wilmore at 11:30pm on Comedy Central. Wil Wheaton (The Big Bang Theory) - Wil is a guest on @midnight on Comedy Central at midnight. Kristin Chenoweth (Kristin) - Kristin stops by Watch What Happens: Live at 11pm on Bravo. Laura Prepon (That '70s Show/Are You There, Chelsea?) - Laura creates a healthy dish from her new book The Stash Plan on LIVE! with Kelly and Michael, so check your listings. She will also be on the AOL Build Show at 11am. Ashton Kutcher (Two and a Half Men/That '70s Show) - Ashton drops by The Ellen DeGeneres Show, so check your local listings. 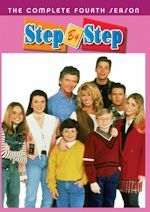 James Brolin (Life in Pieces) - James is a guest on Home & Family on Hallmark Channel at 10am ET/PT. The Cast of Fuller House - Candace Cameron Bure, Jodie Sweetin and Andrea Barber are guests on People Now. Kristen Schaal (The Last Man on Earth/Bob's Burgers) - Kristen discusses the 2nd season of her dystopian comedy The Last Man on Earth on the AOL Build Show at 3pm. Emeril Lagasse (Emeril) - Emeril is a guest on ABC's Good Morning America sometime between 7-9am. Jason Bateman (Arrested Development/The Hogan Family/It's Your Move) - Catch Jason on Jimmy Kimmel Live! at 11:35pm on ABC. Tina Fey (30 Rock) - Tina is a guest on Late Night with Seth Meyers at 12:36am on NBC. People Now celebrate Throwback Thursday with Tina's best moments. John Stamos (Grandfathered/Jake in Progress/Full House) - John appears on Late Night with Seth Meyers at 12:36am on NBC. He also chats about Fuller House on NBC's Today sometime between 7-9am and on LIVE! with Kelly and Michael, so check your listings. Christopher Meloni (Surviving Jack/The Fanelli Boys) - Christopher visits The Late Show with Stephen Colbert at 11:35pm on CBS. Will Forte (The Last Man on Earth) - Will stops by The Late Late Show with James Corden at 12:37am on CBS. Lana Parrilla (Spin City) - Lana is a guest ABC's Good Morning America sometime between and on LIVE! with Kelly and Michael, so check your listings. Paul Feig (Sabrina, the Teenage Witch/The Jackie Thomas Show) - Paul appears on The Ellen DeGeneres Show, so check your local listings. Hilary Duff (Younger/Lizzie McGuire) - Hilary joins Michael Symon as he reveals what makes one sandwich the epitome of perfection on ABC's The Chew at 1pm ET/12pm PT/CT. Bob Saget (How I Met Your Mother/Surviving Suburbia/Full House) and Dave Coulier (Full House) - Bob and Dave chat about Fuller House The View on ABC at 11am ET/10am CT-PT. Dave will also be on HuffPost Live at 2:30pm and on New York Live on WNBC in New York at 12:30pm ET. Brian Dennehy (The Fighting Fitzgeralds/Star of the Family) - Brian talks about his new movie Night of the Cups on New York Live on WNBC in New York at 12:30pm ET. Zooey Deschanel (New Girl) - Zooey is a guest on The Ellen DeGeneres Show, so check your local listings. Max Casella (Doogie Howser, M.D.) - Max appears on HuffPost Live at 11am. Zachary Levi (Less Than Perfect) - Watch Zachary on a repeat of Late Night with Seth Meyers at 12:36am on NBC. Téa Leoni (The Naked Truth/Flying Blind) - Téa appears on a repeat of The Late Show with Stephen Colbert at 11:35pm on CBS. Amanda Peet (Bent) - Amanda is a guest on a repeat of The Late Show with Stephen Colbert at 11:35pm on CBS. Rashida Jones (Angie Tribeca/The Office) - Rashida appears on a repeat of The Late Late Show with James Corden at 12:37am on CBS. Sean Hayes (Will & Grace/Sean Saves the World) - Sean is a guest on a repeat of The Late Late Show with James Corden at 12:37am on CBS. Tina Fey (30 Rock) - Tina chats about the film Whiskey Tango Foxtrot on LIVE! with Kelly and Michael, so check your listings. Eva Longoria (Telenovela) - Eva is a guest on The Ellen DeGeneres Show, so check your local listings. Marilu Henner (Taxi/Evening Shade) - Marilu appears on The Meredith Vieira Show, so check your local listings. Lori Loughlin (Full House) - Lori discusses the new season of her Hallmark Channel original series When Calls the Heart on Home & Family on Hallmark Channel at 10am ET/PT. Laura Prepon (That '70s Show/Are You There, Chelsea?) - Laura cooks with Clinton Kelly and talks about her new book The Stash Plan on ABC's The Chew at 1pm ET/12pm PT/CT. Donald Faison (The Exes/Scrubs/Clueless) - Donald joins People Now live in-studio to talk about his latest project, The Perfect Match. John Stamos (Grandfathered/Jake in Progress/Full House) - John chats with the ladies of The View on ABC at 11am ET/10am CT-PT. Jason Bateman (Arrested Development/The Hogan Family It's Your Move) - Jason is a guest on ABC's Good Morning America sometime between 7-9am. 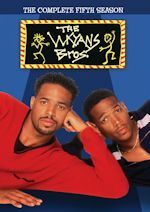 Marlon Wayans (The Wayans Bros.) - Marlon appears on a repeat of The Real, so check your local listings.